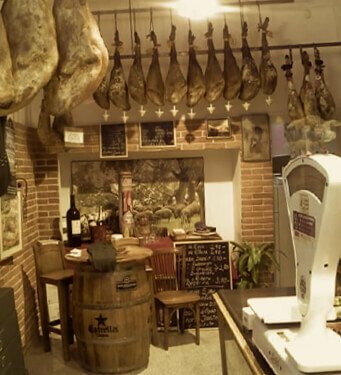 López Pascual is the Iberian hams shop with the most tradition in Madrid. What would Faustino López think if he could see the house he founded almost 100 years ago in the heart of our city? He would probably be proud to see how his legacy of quality and respect for the tradition of Iberian ham has remained intact at Casa López Pascual. 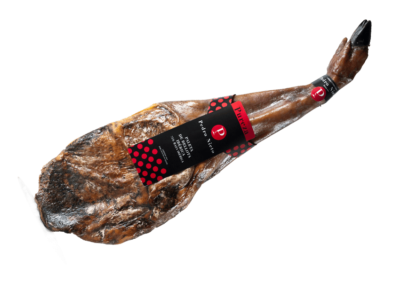 Far ahead of his time, Faustino had a clear concept: sell only the best Iberian hams bred in freedom, in the dehesas of Extremadura and cured in Jabugo, Cumbres Mayores or Guijuelo. The three generations that have inherited this tradition of excellence have not only kept this spirit intact, they have made it grow, increasing its commitment to pure Iberian ham and an even wider variety of gourmet products from the best brands. All this range of dishes has been selected with exquisite taste by the current owner of the house: Alberto López. There is a huge value in the act of choosing one by one, and in the points of origin, the pieces for our establishment. Thus we ensure that the product that reaches the customer meets all the expectations of aroma, taste and texture. This art of selection is known as “tuning of hams” and it is Alberto López who applies this technique to select with tact, sight, smell, and above all experience, the best pieces for López Pascual. Recently a Japanese researcher has discovered a fifth taste called “umami”: beyond sweet, salty or bitter, its uniqueness causes a piece to be more or less “addictive”. Alberto tries that this flavor is present in his pieces. The annual process that transforms Iberian pigs into a gastronomic treasure arises in the pastures. There they are raised outdoors, eating grass and acorns. Reaching proper maturity they are slaughtered and their legs are salted, dried and consolidated in cellars with optimal conditions. This way the maximum flavor of Iberian is extracted that will be cut with knife, in fine flakes, to obtain all those flavors that make it be something more than a food: a cultural patrimony. Every day we face the same challenge: select, choose and carefully monitor the healing of our Iberian hams; in our century-old cave, respecting a liturgy handed down from generation to generation. 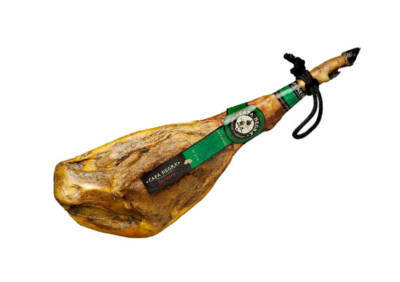 The traditional technique of the cove for the Iberian ham is equivalent to the tasting of the wine by a sommelier. A thin bone of the tibia is introduced into the joints and when extracted, its aroma is appreciated to know if the piece is in its point. 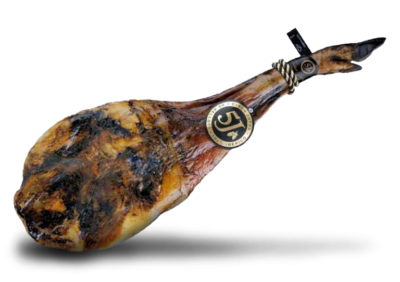 Almost a century devoted to the sale of Iberian acorn-fed ham and its derivatives: tenderloin, chorizo sausage, morcón or Iberian acorn sirloin. Our great experience supports us as the most prestigious store in Madrid and one of the references in our country. 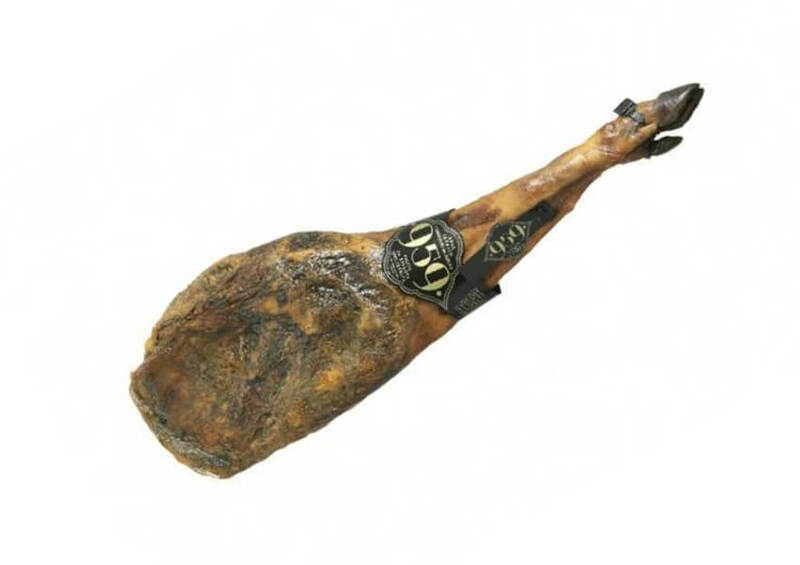 Jabugo, Cumbres Mayores, Guijuelo or Extremadura for our online shop of Iberian hams. our hams with extraordinary wines. guaranteeing each one of them with our signature and guaranteed by 98 years of professional experience. Vega Sicilia, Barón de Chirel, Chivite, Finca Dofí or Rioja Alta 890. The Iberian pig enjoys complete freedom, from the sun, the air and the great spaces of its natural habitat, the dehesas. The curing process takes place in natural cellars underground, with constant temperature and humidity. All orders are delivered between 24 and 72 hours within the national territory. In the heart of Madrid, two steps from Calle Gran Vía with all its commercial and monumental offer, is our Casa López Pascual. Specifically in number 13 of the Corredera Baja Street of San Pablo, very close to the main theaters of the capital. 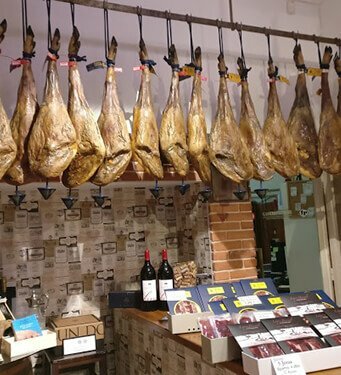 In our store, in addition to the best Iberian hams from Spain (Gabriel Castaño, Cinco Jotas, Joselito, Carrasco …) you will find a wide range of national and imported delicatessen products personally selected by Alberto López, current owner. The Malasaña neighborhood is characterized by its cultural atmosphere and nightlife. Some chroniclers have come to compare it with the Camden Town in London or the Bairro Alto in Lisbon.We invite you to stop the time for a few hours in our corner of Madrid and visit us. In addition to our Iberian sausages and hams, you can buy one of our gourmet products (wines, champagnes, foie …) as a souvenir of your visit to our city. We wait for you!